Sail with us to Liverpool and enjoy all this city has to offer, as well as onward journeys to Manchester and other destinations. Liverpool is more than just a city with a big reputation - it's the centre of a vast area of beauty, culture and entertainment that deserves exploration. Whether you are going on a shopping spree or to watch your favourite football team in action, maybe you are a theatre lover or travelling to see a top entertainer in concert – Liverpool has so much to discover. A stroll around the UNESCO-listed waterfront will take up a morning and probably fill your camera's memory card. The Three Graces, Albert Dock and Pier Head are as iconic as they are dramatic, and delving into their history in the city's museums is an enlightening (and free) experience. Liverpool's commitment to art, both high and popular, is without question. The Walker Art Gallery boasts Rubens, Rembrandts and Poussins, while the countless smaller spaces, draw influence from all around the world in this cosmopolitan city. Other museums, such as The Tate, are packed with beautiful art for all tastes. The International Slavery Museum is one not to miss. You are taken on a thought-provoking journey as you move through the museum. It is located in Liverpool’s Albert Dock, where 18th century slave trading ships stood, and a short walk from the Steam Packet ferry. 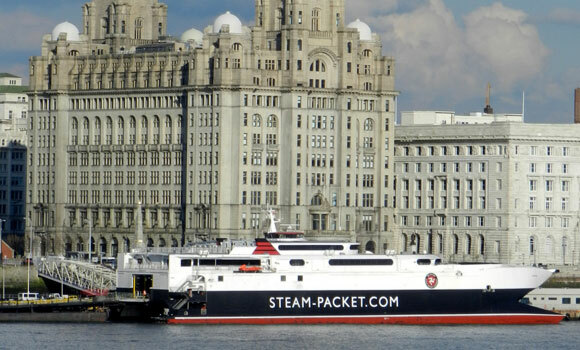 Simply hop off the ferry and start your historical adventure into the history of Liverpool. 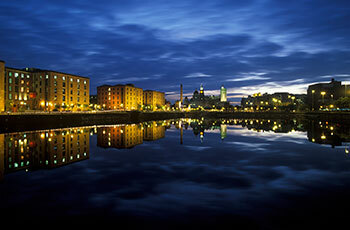 Liverpool is proud to be the birthplace of one of the greatest bands in history, The Beatles. The city provides tours and attractions dedicated to John, Paul, George and Ringo that won’t disappoint fans. You can visit the world famous Cavern Club where the Beatles often played in the 1960’s, or even wander down the famous Penny Lane, walking in the footsteps of the British legends. Mention the name Liverpool to almost anyone, anywhere in the world, and their almost instant reaction will be football. The Northwest is a hotbed of footballing success, with several Premiership clubs; the homes of two of them, Everton and Liverpool, are just minutes from Liverpool City Centre. Take a tour and walk in the footsteps of your favourite footballers. The Crabbie’s Grand National, held at the world-famous Aintree Racecourse, is the world's most-watched sporting event, with an annual audience of 600 million. Haydock Park, a premier dual-purpose racecourse nearby, boasts an active and energetic year-round racing calendar that includes both flat and jumping fixtures. 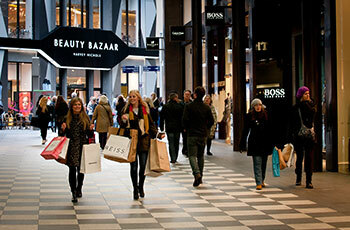 You will find almost every form of retail therapy in Liverpool and elsewhere in the city. Liverpool ONE has some of the largest big-name high street stores in the country. One for the little ones to enjoy is Mattel® Play! Liverpool, a brand new attraction and the first of its kind in Europe, featuring iconic British characters Thomas & Friends, Fireman Sam and Bob the Builder. Each character has their own immersive area so children can walk into the world that they see on TV and experience their own adventure. From Liverpool, you can organise connecting transport to the buzzing Manchester. The options are endless in this city, but to name a few, the Museum of Science and Industry and the unique John Rylands Library are not to miss. If you are looking for some exercise, experience the indoor ski slopes at Chill Factore. Or if you are planning a trip for the whole family, why not pay a visit to Legoland Discovery Centre. The shopping opportunities are rich in Manchester. Wander around the Manchester Arndale in the heart of the city or pay a visit to the extensive Trafford Centre. This large indoor shopping centre and leisure complex offers a whole day of entertainment under one roof. Isle of Man Steam Packet Company operates several routes to and from Douglas. Our other ports include Dublin, Belfast, Liverpool, Heysham and Birkenhead ports. The Isle of Man is the ideal destination to explore by car, on foot, bicycle or of course motorbike. Enjoy the convenience of bringing your car on board and pack everything you need for your adventure on the Isle of Man; be it your bicycles, walking gear or even the family pet! Take advantage of our great offers, including Car offers, our popular Kids Go Free Summer special, Foot Passenger offers, and for motorcycle enthusiasts, Motorbike offers. You can also bring your bicycle on board free of charge.